This lady has her hands in the air. And she doesn't care. Just like those who listen to it, house music doesn't stand still, which is why it's a genre that SampleRadar feels compelled to revisit frequently. This week, we're giving you a collection of bustling cutting-edge percussion loops, all of which were produced using Reason's awesome Kong Drum Designer. The samples are split into three folders: these contain the original versions of the loops, processed versions and the individual parts for each loop. 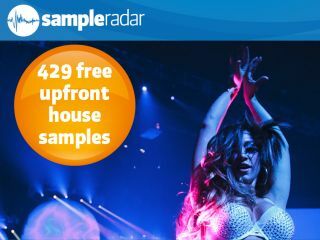 The upfront house percussion samples are supplied in a zip file, so you'll need to extract them before you can see them. Enjoy!